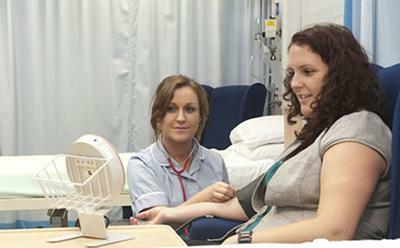 Failure to deliver complete nursing care explains why hospitals with lower registered nursing (RN) staff levels have a higher risk of patient death, a new University of Southampton study has shown. Jane Ball, Principal Research Fellow at the University of Southampton, who led the study, says the results published in the International Journal of Nursing Studies reveal that care left undone due to lack of time is the “missing link” in understanding variation in mortality rates in hospitals. When RN staffing is lower, necessary care is more likely to be missed. Each 10 per cent increase in the amount of care left undone was associated with a 16 per cent increase in the likelihood of a patient dying following common surgery, the study shows. The findings come from further investigation of the major RN4CAST study of nurse staffing at hospitals in nine European countries, including 31 NHS acute trusts in England. Previous analysis of the survey showed that lower nurse staffing levels are associated with higher mortality. Missed nursing care was measured through a nurse survey and included activities such as patient surveillance, administering medicine on time, adequate documentation, comforting patients and pain management. “If there are not enough registered nurses on hospital wards, necessary care is left undone, and people’s lives are put at risk,” added Dr Ball. The analysis also looked at nurse qualification and confirmed that hospitals with higher numbers of registered nurses trained at degree level have lower risk of patient mortality. The RN4CAST study assessed how organisational features of hospital care impact on nurse recruitment, nurse retention and patient outcomes. The study was funded by the European Union, and also received funding from National Institutes of Health (Aiken). The research presented is a collaboration between the University of Southampton, King’s College London, University of Pennsylvania, KU Leuven Institute for Healthcare Policy and Karolinska Institutet. The data was drawn from nine European countries studies: Belgium, England, Finland, Ireland, the Netherlands, Norway, Spain, Sweden, and Switzerland, and included data from 31 NHS acute trusts in England.